Russley Road (SH1) is being upgraded to a four-lane median separated road. The Russley Road/Memorial Avenue roundabout will be upgraded to an over-bridge with Russley Road going over Memorial Avenue and a large signalised intersection below allowing access across and into/out of Russley Road. The Western Corridor (SH1) connects the northern and southern Canterbury areas with Christchurch International Airport, and runs between Belfast in the north to the large industrial area at Hornby in the south. Increased commercial and industrial activity, particularly in Hornby and at the airport, is creating more traffic and congestion at peak times. To ensure businesses based outside Christchurch are able to get their goods to and from the airport, the focus of the project is to four-lane SH1 from Belfast to the centre of Hornby to reduce congestion and improve safety. What does the Russley Road project involve? Russley Road will be four laned, with a Russley/Memorial Interchange as the gateway to the airport. A second access to the Airport Precinct will be built south of Avonhead Road. This will improve travel time, reliability and safety along and across the state highway. The Russley/Memorial Interchange will have Russley Road (SH1) passing over Memorial Ave, this will separate the state highway traffic from traffic moving between the City and the Airport. People accessing the airport will have significantly less traffic to deal with - reducing delays and improving safety. Memorial Ave is the main route for pedestrians and cyclists to the airport, and they will have dedicated space through the intersection providing a significant improvement for accessibility and safety. This will also be the main route for public transport into the airport. An enlarged Harewood Road Roundabout with a pedestrian and cycle underpass will also improve access. An additional southern airport access point will be provided south of Avonhead Road. It will be a grade separated intersection. What is a grade-separated interchange? A grade-separated interchange is where one road remains at ground level (at grade) while the other road passes over via a flyover (over-bridge). The grade-separated interchange at the Russley Road/Memorial Avenue intersection will have Russley Road (SH1) passing over Memorial Avenue. There will be on- and off-ramps beside the over-bridge and traffic signals to direct all traffic wishing to get in or out of the airport or on to SH1. Why do we need an over-bridge/interchange at Memorial Ave? The Memorial Avenue Intersection with Russley Road (SH1) provides the primary access to Christchurch International Airport. The intersection is currently a large two lane roundabout with an 80km/h speed limit on the State Highway approaches. Increasing traffic numbers through the intersection are worsening congestion and reducing safety to and from the airport. The delays and crashes at the current intersection are unacceptable and a long term solution is required to ensure a safe and efficient access way for the city. Pedestrians and cyclists are also poorly catered for through the current intersection. This project will reduce delays and improve safety for all users. A number of alternatives (e.g. signals and roundabout upgrades) have been looked at and found to provide only a short term solution to congestion. A grade separated intersection will provide a long term solution to congestion problems and will serve as a first-class gateway to Christchurch International Airport. How will access to/from the airport be provided? Memorial Ave is the main entrance. The airport currently has three entrances at Harewood Road, Wairakei Road and Memorial Ave. Harewood Road is a main arterial road to the city and will be retained as the northern entrance. Memorial Ave is the primary gateway entrance and will be significantly upgraded as the main route to the central city. Wairakei Road access to the airport will be closed due to its close proximity of the Memorial Ave Interchange. A third access providing mainly freight access is also planned south of Avonhead Road. These roads will provide ample access to the airport and improved travel time. The Memorial Interchange is being developed as the primary gateway to the airport and the design will cater for significant volumes of traffic in the future. The interchange is designed to cope with a substantial amount of increased airport traffic. Why can’t Memorial Ave or Russley Road be built below ground level (an underpass)? The high water table in Christchurch means this is not possible without great construction costs and ongoing operational costs of drainage etc. This site is also in the aquifer recharge zone – where some of Christchurch’s water supply comes from and there would be the ongoing potential for contamination if this option was chosen. How many lanes are proposed along Russley Road between Harewood Road and Avonhead Road? Four lanes will be provided (two lanes in each direction). A median will separate north bound and south bound traffic. What will the speed limit on Russley Road be? The speed limit on Russley Road will remain at 80 km/h. Two to three years. Traffic management plans will ensure traffic is kept moving during construction. It is not intended that local roads will be utilised to divert traffic around areas under construction. What will be done to address noise? The carriageway will be made from a low noise asphalt surface that is quieter than typical chip seal. Will there be provisions for pedestrians and cyclists? There will be cycle lanes and pedestrian crossings provided on Memorial Avenue at the signalised intersection under the new Memorial Ave Overbridge. A pedestrian and cycle subway will be built under the Harewood Roundabout. The subway will provide safe access across Russley Road (SH1) and access to both the airport precinct and the McLean's Island recreational area. The existing cycle and pedestrian crossing will be maintained at the Sawyers Arms Road roundabout. (Wairakei Road is being closed to all cross traffic including cyclists and pedestrians). The off-road pathway between Harewood Road and McLeans Island will be retained. Why is it not possible to provide a cycle way on the Western Corridor like the one on the Southern Motorway? The Western Corridor is not a motorway so a fenced off cycle path with long safe stretches with no vehicles is not possible. The Western Corridor has a higher number of access/conflict points – intersections, side roads and driveways (some for heavy vehicles). It is not possible to design a cycle path like the one on the Southern Motorway that handled this safely. The problem it is how to get cyclist safety across all the intersection and other conflict points. Why is Avonhead Road to be closed? It is worth noting that access at the original intersection was difficult and there were a number of crashes, including a fatality. The closure of the intersection will remove this crash potential. Local residents will need to use the local network to access the State Highway at the improved Memorial Ave intersection. The effects of this closure will be a minor increase in vehicles using Roydvale (south) to access Memorial Ave and the State Highway. Why is access at Wairakei Road being restricted? Wairakei Road is a ‘collector road’ in the Christchurch City Plan hierarchy. The proposed Memorial Interchange is too close to Wairakei Road. Safety requirements dictate certain distances be provided for traffic merging on and off the main road and Wairakei is too close to Memorial Ave for this to be possible. If Wairakei Road were to remain as it is there would be safety issues. The design at Wairakei Road has been modified to enable the left in and left out on the east side (city side) of Wairakei Road onto the southbound Russley Road (SH1) off-ramp to Memorial Ave.
Providing the left in/out access to Wairakei Road means all current access options are possible from the state highway but they will require U-turns at Harewood Road and Memorial Ave for some movements. Wairakei Road west will be closed. What will happen at Harewood Road? With the movement restrictions at Wairakei Road, there will be increased traffic turning and crossing the State Highway at the Harewood Roundabout. This roundabout will be upgraded to provide two through lanes in each direction on Harewood Road increasing the capacity of the intersection. Harewood Road is a feeder route for cyclists using Johns Road to access the McLeans Island Road area and a route for cyclists commuting to and from the airport. A pedestrian and cycle underpass will be built under the Harewood Roundabout. 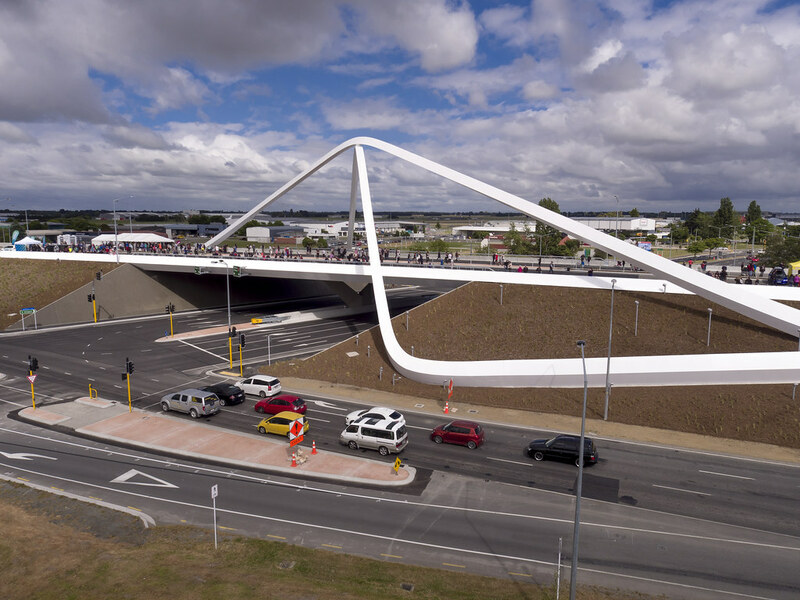 The underpass will provide safe access across Russley Road (SH1) and access to both the airport precinct and the McLean’s Island recreational area. Once across the State Highway, there is an off-road cycleway connecting Harewood Road with McLeans Island Road. This cycleway will be retained with the project. What is the impact on local roads around the Wairakei Business Park? Traffic from Russley Road (SH1) can still access the Business Park via left in and out at Wairakei Road. Traffic wishing to cross Russley Road (SH1) to the airport can still turn left at Wairakei Road and then right at the Memorial Interchange with minimal impact. Traffic from the airport can cross Russley Road (SH1) at either Harewood Road or Memorial Ave.
Traffic wishing to turn right into Wariakei Road from the south can; continue on to the Harewood roundabout and U-turn back to Wairakei and then turn left or turn right at Memorial Ave, and then left into Roydvale Ave. This would increase traffic slightly, but mostly during the morning peak period. Traffic from Wairakei Road that wishes to turn right into Russley Road (SH1) may divert onto Wooldridge Road and left turn onto Harewood Road. NZ Transport Agency are considering a left turn lane on this approach. What happens on Roydvale Ave? There will be some additional traffic using Memorial Ave and Roydvale Ave to access the Wairakei Business Park area and therefore passing Roydvale School. A lot of this should occur outside of school hours. The CCC has already constructed a School Speed Zone in this area in response to this and the increase in traffic since more businesses moved into this area after the earthquakes. What happens on Wooldridge Road? Some traffic from the Wairakei Business Park is likely to use Wooldridge Road to access Harewood Road to travel north on the Russley Road (SH1). NZTA is in discussions with CCC to construct a left slip turn lane and a traffic island where Wooldridge meets Harewood Road. What provision will be made for emergency services access to Russley Road and the airport? Access from Harewood Fire Station across Russley Road (SH1) at Harewood Road and Memorial Avenue will be improved. They can also turn left from Wairakei Road onto Russley and then right at Memorial Ave to access the airport. An option for providing direct emergency access at Wairakei Road through a gap in the median barrier separating the lanes on SH1 is also part of our plan. 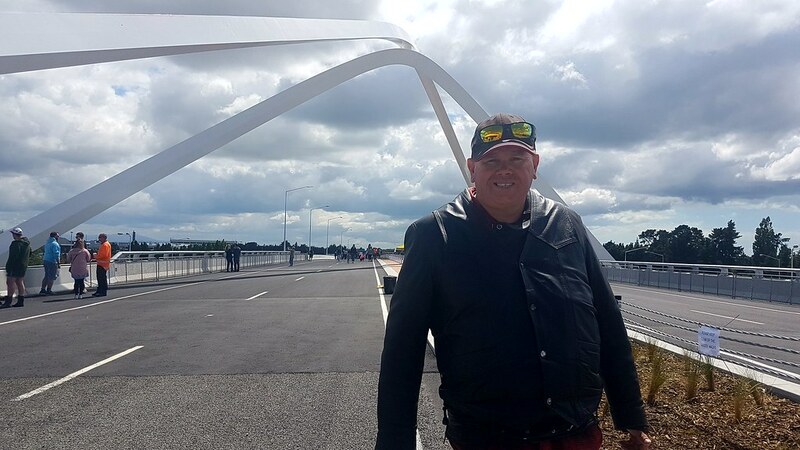 Other emergency services that come from Wigram or the City will find travel time significantly improved by the 4 laning and Memorial Interchange improvements. Was planning approval under the Resource Management Act required? The NZ Transport Agency needed to apply to the CCC to alter the existing 'designation' between Harewood and Avonhead Roads as the original one was not wide enough for the proposed road and intersection improvements. A designation is like zoning the land for road purposes. This application was publicly notified enabling anyone to make a submission. 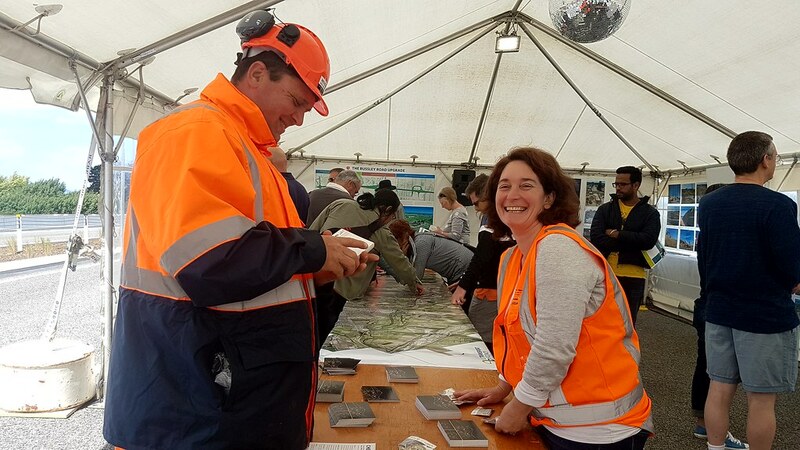 Resource consents from Environment Canterbury were also needed for such things as discharging stormwater during construction, operation of the road and intersections and the construction of culverts and bridges. Why is NZ Transport Agency planning a southern airport access? We received feedback from many stakeholders including the airport, the city council, emergency services, businesses and the general public voicing concerns about reduced access to the airport and the need for an alternative access with the closure of Avonhead Road and the changes at Wairakei Road. We then worked with our stakeholders to identify the most appropriate location and form for another access to the airport area and have agreed on a new southern entrance south of Avonhead Road, through the Dakota Park development. The southern airport access is far enough away from the Russley/Memorial interchange to be safe and, as well as providing additional access to the airport, it will mean heavy vehicles servicing the business and cargo areas of the airport will be separated from the light vehicles using the passenger terminals of the airport. Why is it such a big intersection? The intersection has been designed to meet both safety and efficiency requirements. The on and off ramps need to be the length they are so vehicles can safely reduce or increase speeds from the local roads in the airport area (50km/h) to the operating speed on Russley Road (80km/h). Why not install traffic signals or a roundabout? The purpose of a state highway is to provide safe and efficient movement of people and freight. Traffic signals or a roundabout would introduce additional intersection delays. Traffic signals in a high traffic volume and high speed environment (80km/h) are not a good solution in this case as they would not have a good level of safety. A grade separated interchange with a bridge separating opposing traffic is the safest option and it allows traffic to flow freely. Will Russley Road go over or under the new interchange? The southern airport access road will go under Russley Road as this will be less intrusive on the surrounding land.